MILWAUKEE, Wis. – Badger Meter, exhibiting at AHR Expo 2017 in Las Vegas, Nev., today announced the introduction of the Dynasonics U500w in-line flow meter, an innovative ultrasonic transit time metering instrument that offers the modern solid-state metering technology in a compact, totally encapsulated, weatherproof, submersible and UV-resistant housing. Designed to reduce maintenance, improve accuracy and durability, lower operating costs and minimize water loss, the U500w measures potable and non-potable water in building and property management sub-metering applications. 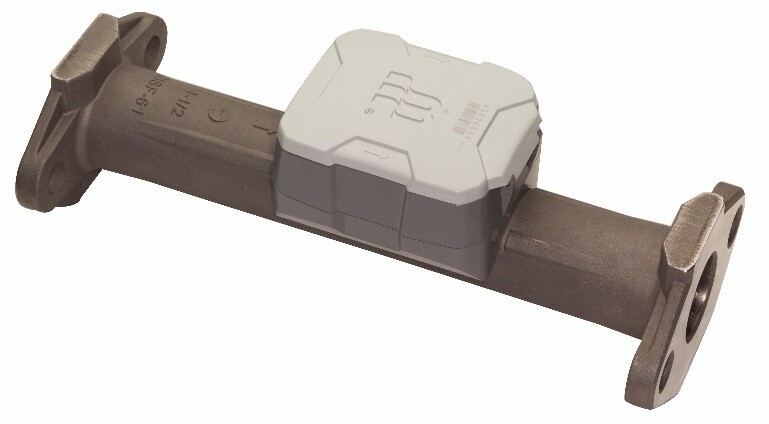 The Dynasonics U500w advanced electronic metering technique provides information such as flow rate, reverse flow indication and other data not typically available through traditional meters and registers. The 9-digit, high resolution liquid crystal display (LCD) makes it easy to read this information. The meter design also eliminates measurement errors due to sand, suspended particles and pressure fluctuations, and allows the meter to be installed in horizontal or vertical piping. Environmentally friendly in lead-free compliant configurations, the U500w ultrasonic flow meter is available in both stainless steel and engineered polymer designs. The U500w meter complies with applicable portions of ANSI/AWWA Standard C700 and NSF/ANSI Standard 61, Annex G. The meter is completely submersible, making it ideal for the most demanding application needs. The 20-year life lithium battery eliminates the need to run wires for power, simplifying installation and lowering costs. The Dynasonics U500w ultrasonic flow meter is fully compatible with the AquaCUE® Flow Measurement Manager system. AquaCUE provides actionable flow measurement data to improve water-use efficiency and sustainability. For more information about Dynasonics U500w Ultrasonic Flow Meters, please visit www.badgermeter.com. The Dynasonics U500w ultrasonic flow meter from Badger Meter.